Just as medical doctors use stethoscopes to get to the "heart" of your problem, Dr. Saeda Basta depends on her "loupes" to get to the "root" of your toothache. Armed with her trusted loupes, immense love and passion for dentistry, and a great sense of humor; she provides first-rate dentistry to all of her patients. Whether her patients are seeking a second opinion or full mouth rehabilitation treatments, Dr. Basta treats each and every patient as if they are a member of her family; that way she is certain that she always gives the best advice and care. Dr. Basta is prominently known for her detailed and thorough examinations and picture-perfect treatments. She does not spare any dental advancement tool when it comes to her patients. Whether it is the use of digital x-rays, digital perio charting, and laser cavity detections to perform diagnostic records; or when she utilizes custom trays to fabricate perfect fitting temporary crowns, acquiring the finest impression materials to provide accurate and high-quality impressions of your teeth, or utilizing electro-surge instrumentation to provide microscopic margins for a great fitting, natural looking crowns. Dr. Basta uses it all. Dr. Saeda Basta obtained her Doctor of Dental Surgery (D.D.S.) from Damascus University School of Dentistry in 1994. Soon after graduation, she began practicing general dentistry for almost seven years. In 2001, she attended Loma Linda University to complete her Prosthodontic specialty. Dr. Basta successfully completed her Master's Degree in Prosthodontics from Loma Linda University in 2007 and is currently working on her diplomat status with the American College of Prosthodontics. Dr. Basta has many roles in the dental community. Aside from her private practice limited to Prosthodontics in Covina, she is an Assistant Professor and Prosthodontic Consultant in the Restorative Program at Loma Linda University. She is a member and on the board of directors for the Arab American Dental Association and maintains active memberships in the California Dental Association (CDA), American Dental Association (ADA), and the American College of Prosthodontics (ACP). 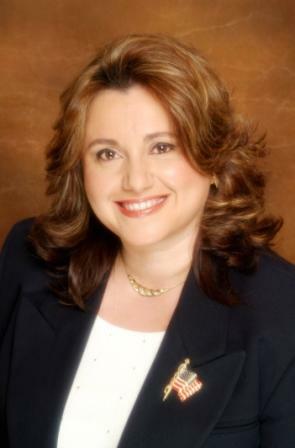 She currently holds the title of Secretary, Appointed Chair for Allied Dental Health and CDA Trustee for the San Gabriel Valley Dental Society. Contact our Covina dental office today to learn more about Dr. Basta or to schedule a consultation.